I'm a weather buff and used to watch TWC a lot until they started showing a lot of reality TV shows and focusing too much attention to the East Coast and no where else. 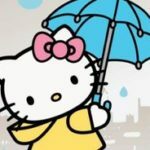 I just come to this site once in awhile though, since my Internet access is very limited, plus too slow for stuff like images and videos....And yes, I love cats and Hello Kitty obviously. kittykat has not uploaded any photos.